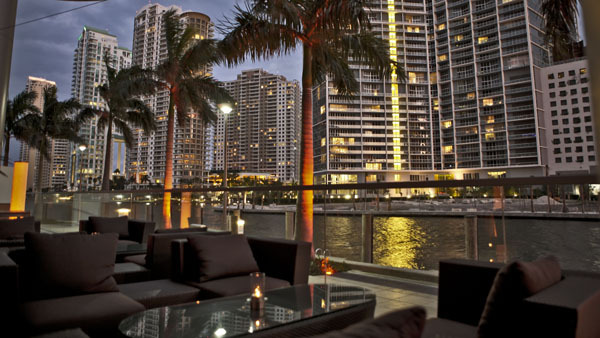 Zuma never ceases to fail with its already renowned locations in London, Hong Kong, Istanbul, Dubai, Bangkok and now the sandy beaches of Miami. 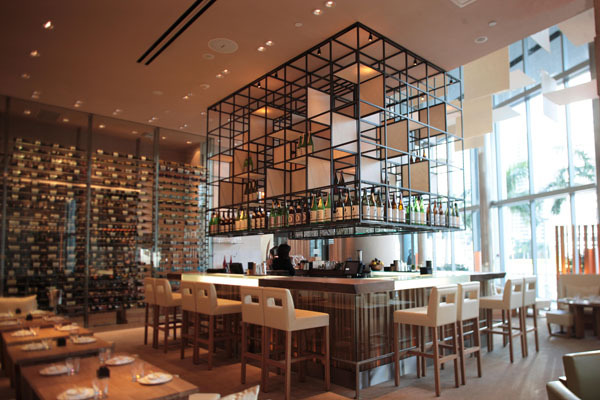 Located in the heart of downtown Miami, in the Epic Hotel, Zuma continues its legacy with Chef Rainer Becker and his internationally acclaimed style of modern Japanese cuisine. Lathered in in a fun and vibrant environment with a large pinch of sophisticated cuisine, and Izakaya dining style, Zuma continues to draw in crowds who are looking for something unique in downtown. Living on the lobby floor of Epic Hotel, the cavernous space is dressed up in modern style shades of beige in true authentic Japanese style. A variety of seating options compliment the main dining area, keeping consistent with Zuma’s signature theme of natural earth tones, like granite and wood. Rice paper panels extend from the ceiling, drawing in the art of Japanese décor and tying in the dishes brilliantly—it becomes a reflection on the cuisine. The menu is a sublime array of pleasing to the eye arrangements, colors and textures guaranteed to have you reaching for your camera before your husband across the table decides to dive in ruining that perfect picture. On offer is a selection of sashimi, nigari, maki and a variety of small plates, as well as several more substantial main-course sized items. Dishes are either prepared at the sushi bar where patrons can sit before the masters at hand, the robata grill or the kitchen, and the dishes continuously roll in, meal after meal, after meal until your hearts content. Guests can expect to indulge in classics from the sushi and sashimi bar like California maki, with Alaskan king crab, avocado and tobiko, presented like a beautiful delectable painting. From the robata grill, the pork belly skewers are mouthwatering rectangles of meaty heaven dipped in a light soy glaze, with accompanying mustard sauce. Tempura is the way to many hearts and the ebi no tempura is the cupid in this scenario with rock shrimp with lime and chili mayonnaise or the lobster no tempura, with lobster spicy ponzu and wasabi mayonnaise. As for the main event, the signature dishes are a must—there is a reason to the label signature. The rib eye no daikon ponzu fumi is a handsome serving of rib eye steak with wafu sauce and garlic chips. If that doesn’t reach that sweet spot, opt in for the gindara no siakyo miso yaki, with black cod in saikyo miso with homemade hajikame. To top off what has been an adventure of an evening, devour the zuma bamboo dessert earl grey tea ice cream, kinako cake and cocoa crumble molded into a plant pot, with a wooden spoon, and chocolate sauce served on a square wood plate—it really is a masterpiece. With a menu this comprehensive and alluring, it comes as no surprise everyday hungry souls flock to Zuma for an authentic Japanese dining experience complete with bold, intense flavors with an emphasis on presentation. Monday-Wednesday lunch from 12 noon to 3pm and dinner from 6pm to 11pm.